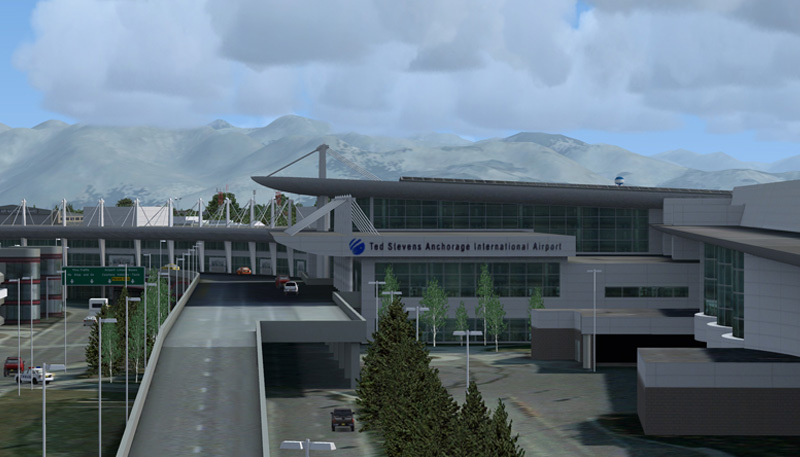 Anchorage Ted Stevens International (PANC) one of the most important airports in Alaskas and destination of many national and international flight connections. 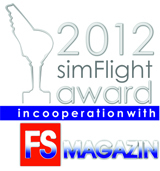 Beside asian and russian airlines also from Frankfurt fly german Condor and the switzerland airline Edelweiß from ZRH in the month may to september to Anchorage. 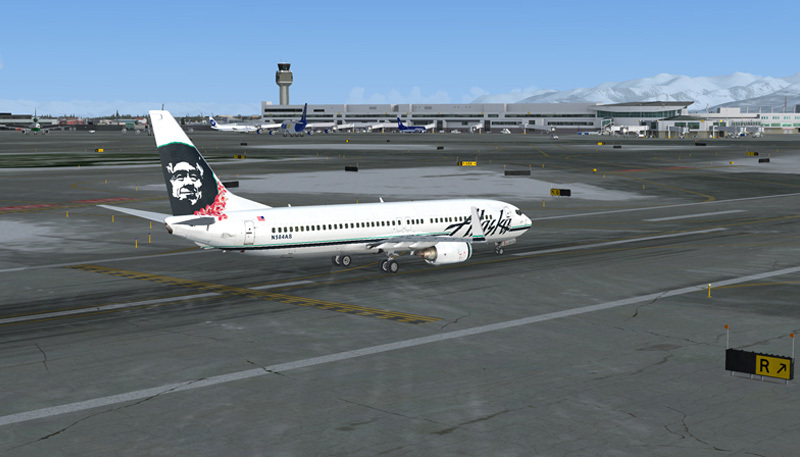 There probably is no place on the globe where aviation is as important as in Alaska. In this great state roads are scarce and limited to the major cities. 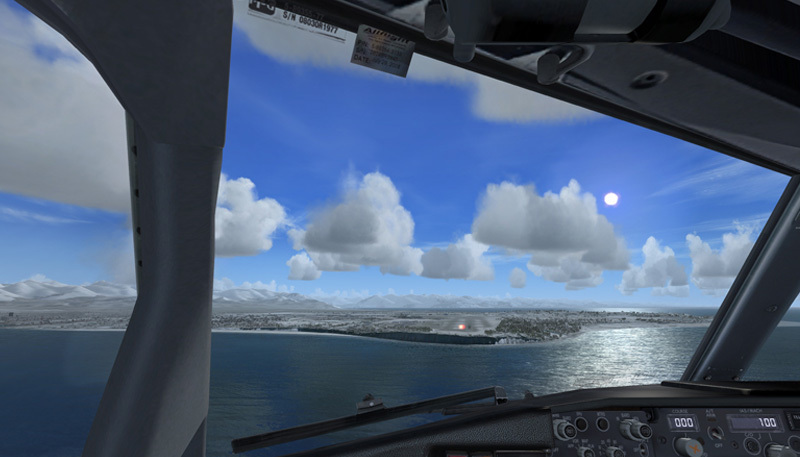 The vast wilderness can only be reached by aircraft. 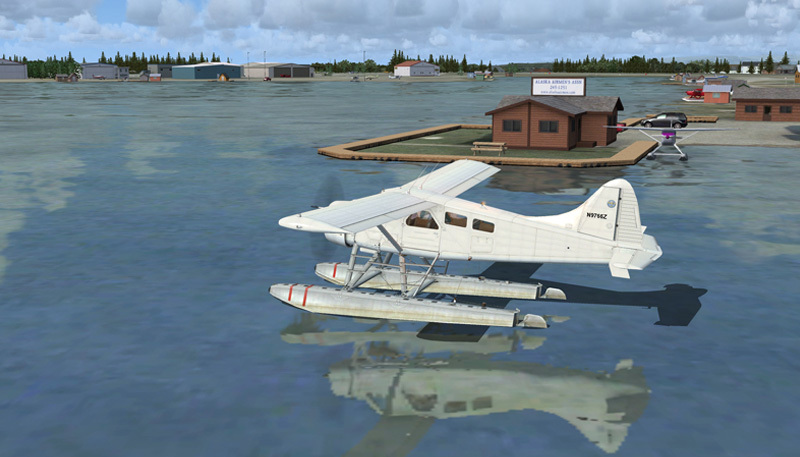 Often only by floatplane or small aircraft equipped for off airport landings. 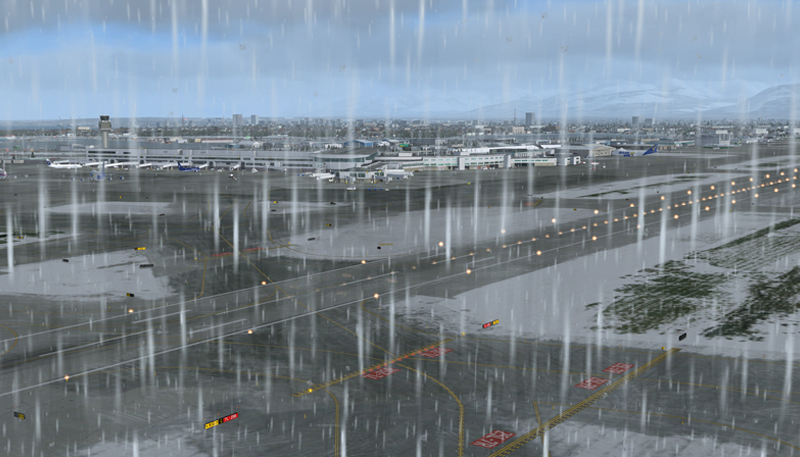 And Anchorage International Airport ‘Ted Stevens’ is at the center of much of this aviation. 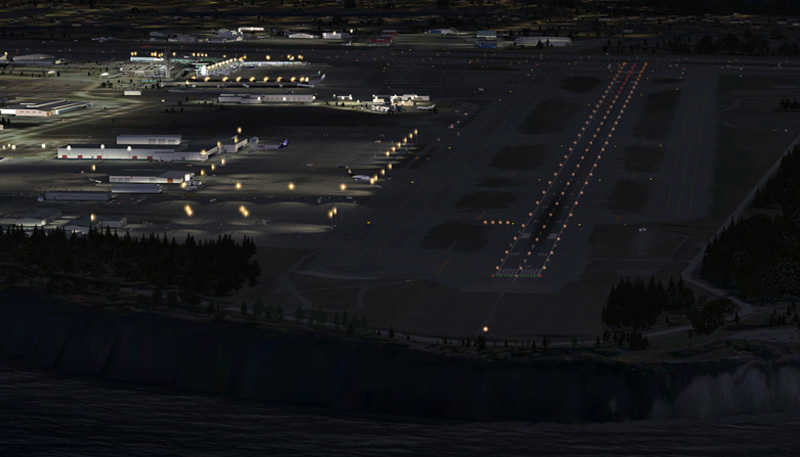 It is in many ways a remarkable airport. 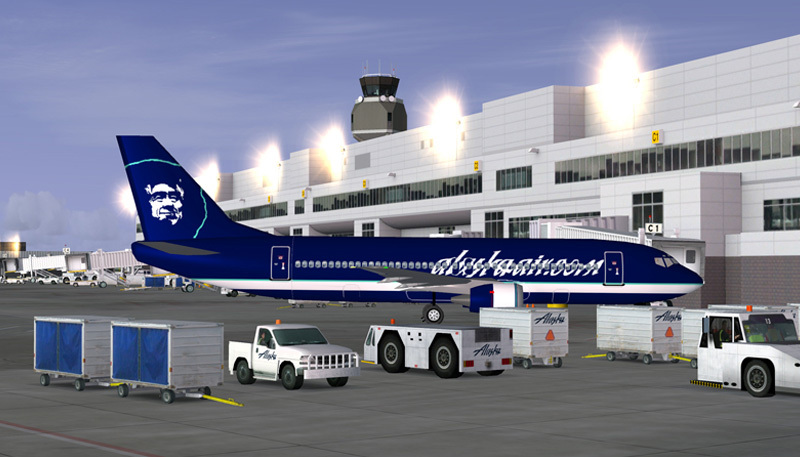 Not only does is the main connection to the other US states (a connection mainly flown by Alaska Airlines 737 in their characteristic livery) and as a hub for intercontinental flights, it is also a bush airport with a large dirt strip for the small planes that do not really like concrete and tarmac. 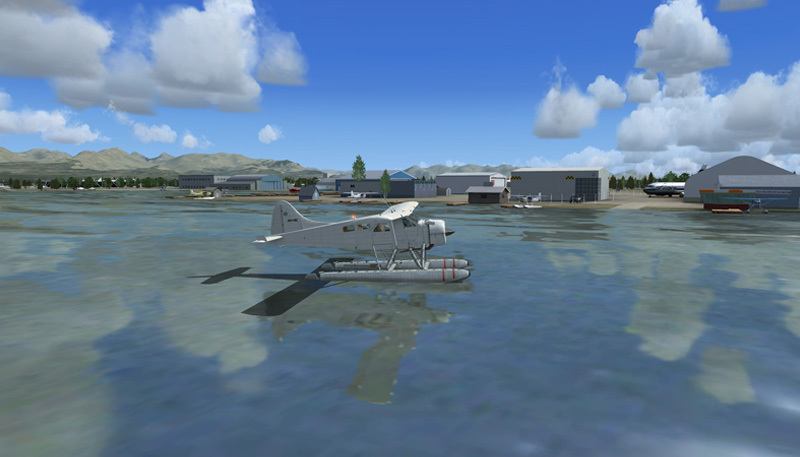 It even has one of the largest seaplane bases in the world on Lake Hood that’s located next to the airport. 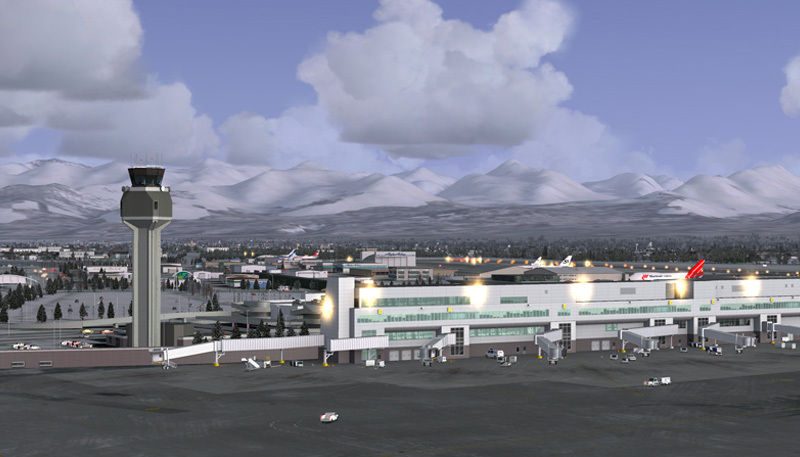 Add the violent weather and the long hours of darkness in the winter and you end up with an airport that is in all way remarkable and well worth a superb rendering for Flight Simulator. 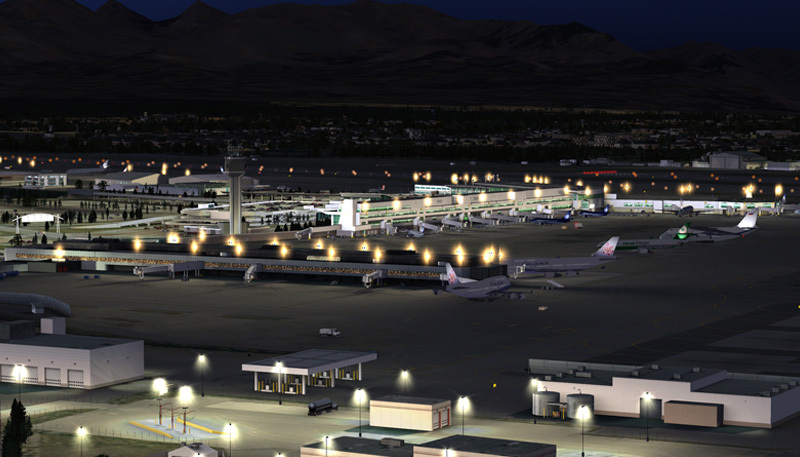 As always simWings did a fantastic job on an airport that no serious flightsimmer can do without. 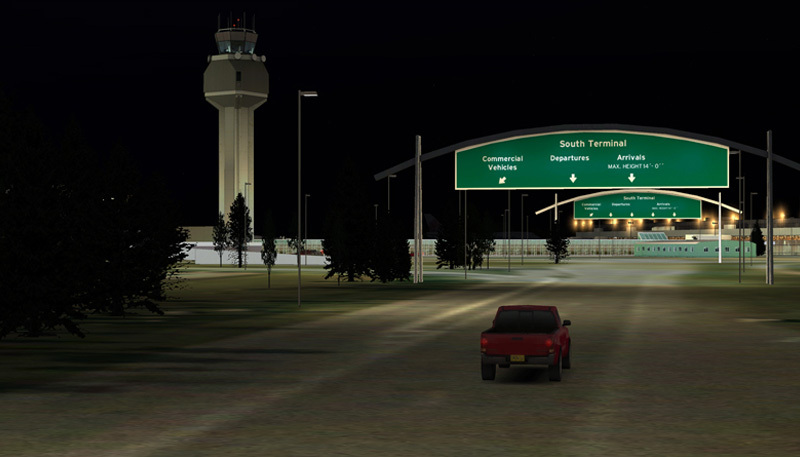 Trains between airport station and Anchorage with functional crossings for the cars! "This is an excellent product that can accommodate every type of pilot from the bush pilot to the jet jockey flying a 747. 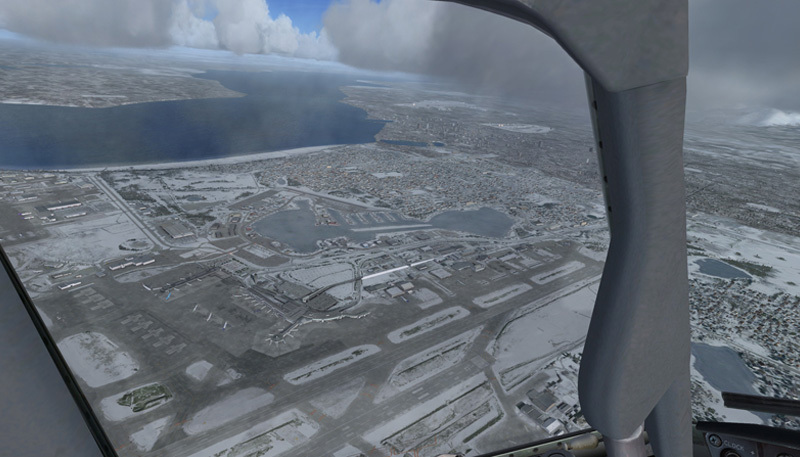 The versatility, quality and very reasonable price point are significant factors that should make you want to give Anchorage X a try. It could open up a whole new world and I am sure you won’t be disappointed." 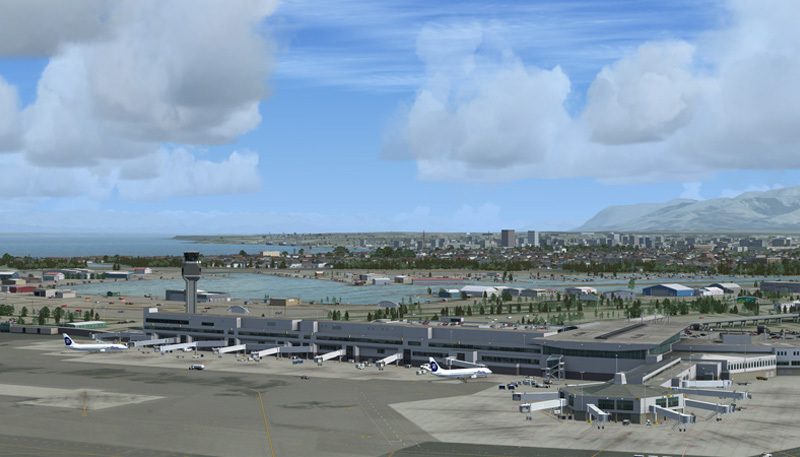 "Aerosoft’s Anchorage X is by all means very nice scenery. 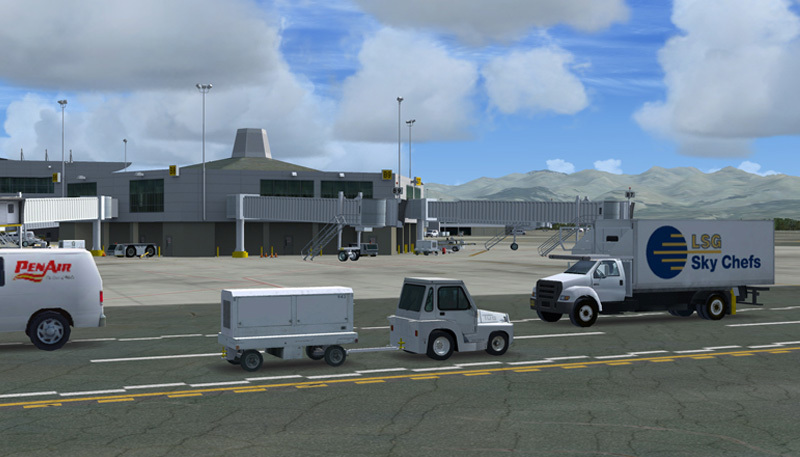 The modeling is good and the texturing looks nice, as with all Simwings airports. 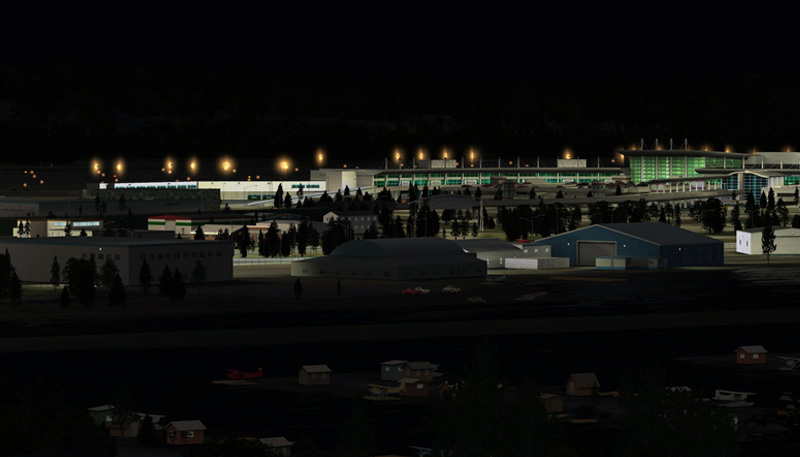 Sometimes I had hoped that the details would be a bit more extensive around the terminals buildings and aprons, but the fact is that it looks good just as it is. 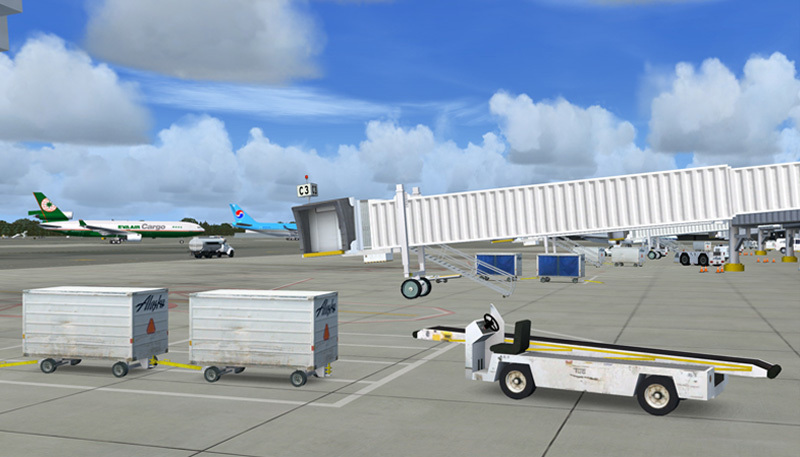 The extensive cargo aprons are a welcome sight and the passenger terminals looks fine. I had actually hoped for better performance, but I guess my computer just isn’t good enough to handle it at high FPS. 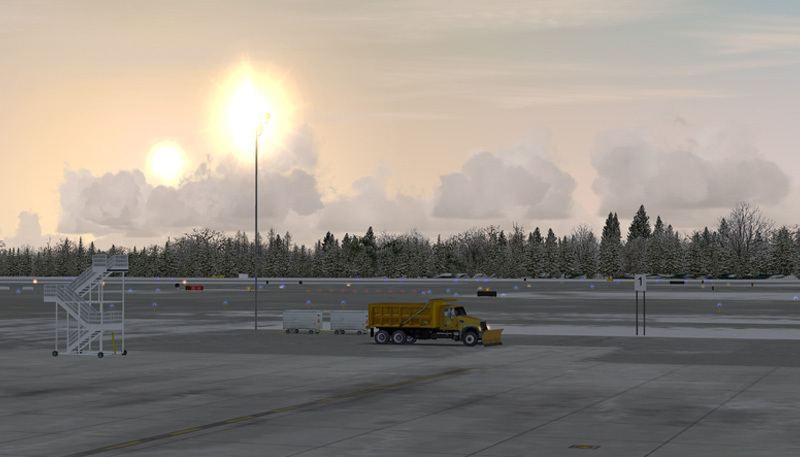 All in all, a good scenery. 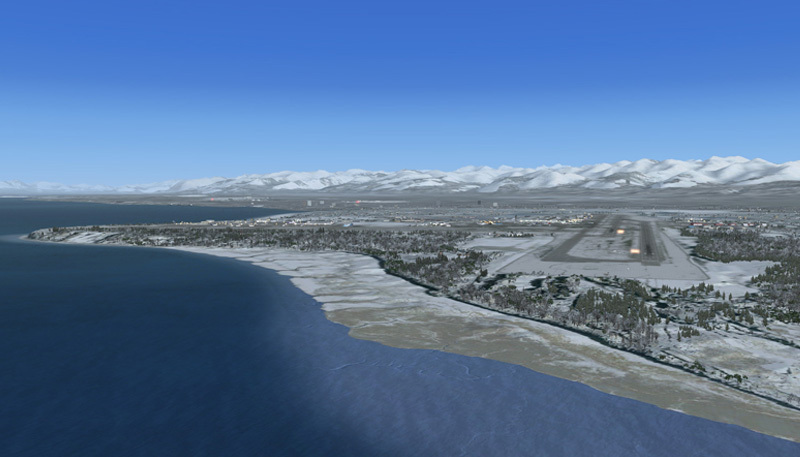 I can recommend it to those that want to fly into Anchorage. I’m quite sue you won’t be disappointed, and the price is good." 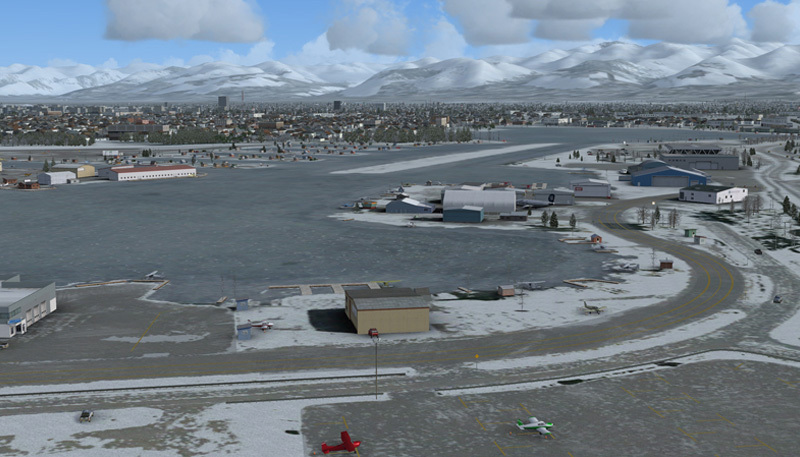 "SimWings & Aerosoft has produced an outstanding product with Anchorage X. 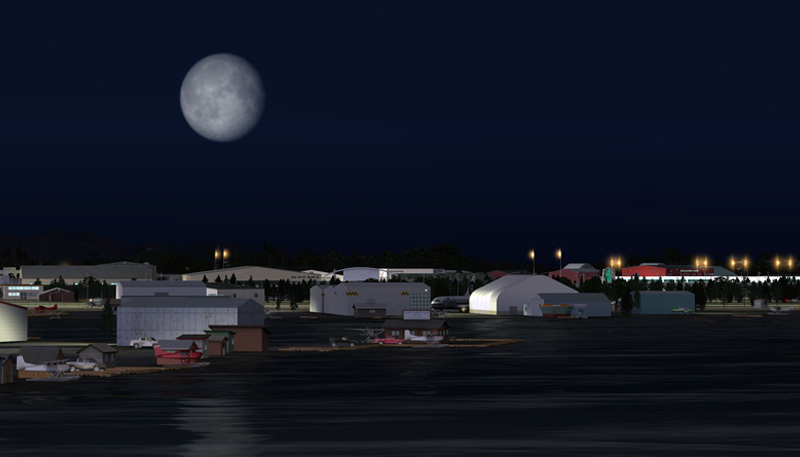 With the inclusion of Lake Hood Seaplane Base & Lake Hood Airstrip, there is something for all types of virtual aviators to enjoy. 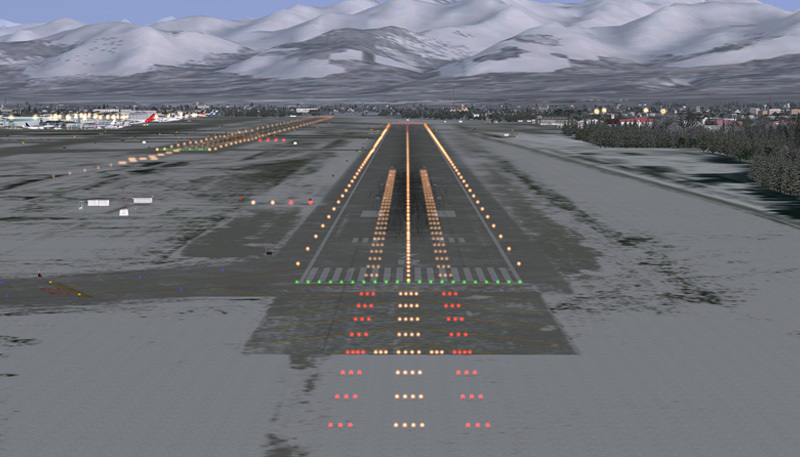 I have approached this review from the perspective of a small aircraft VFR virtual pilot. 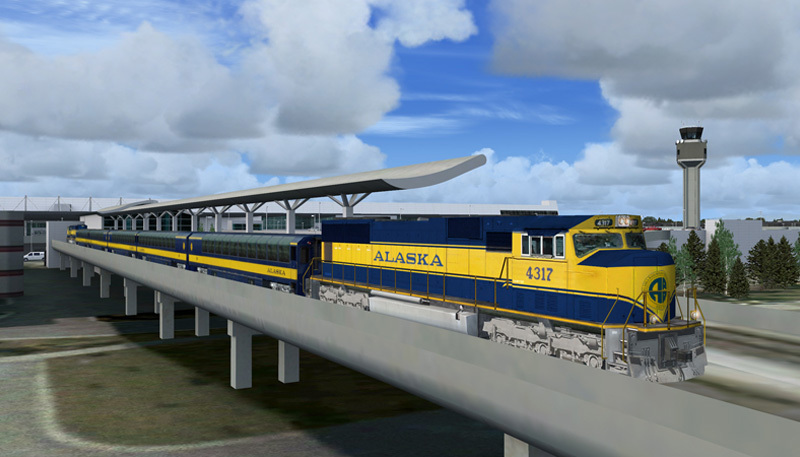 Everything has been reproduced in great detail with outstanding textures and animations...Despite the issue that I have the train sound effects, I have no problem awarding Anchorage X from Aerosoft with a four star rating." The latest version 1.01 doesn't require an online registration aynmore. 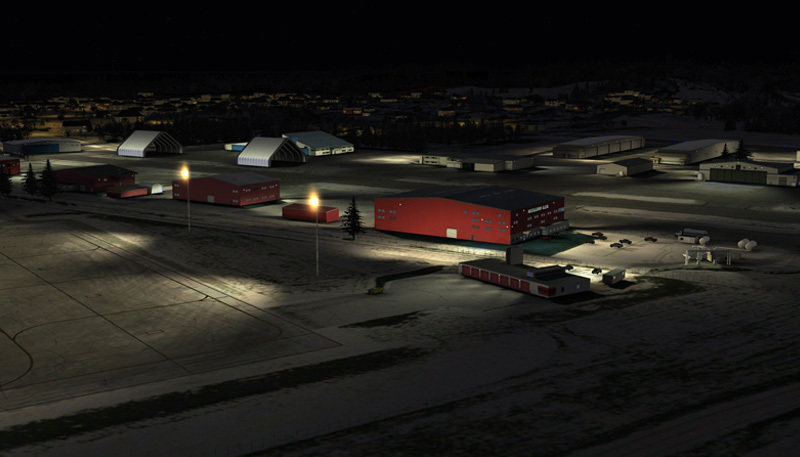 Related links to "Anchorage X"